Are you looking for some delicious energy balls that you can make for quick healthy snacks? 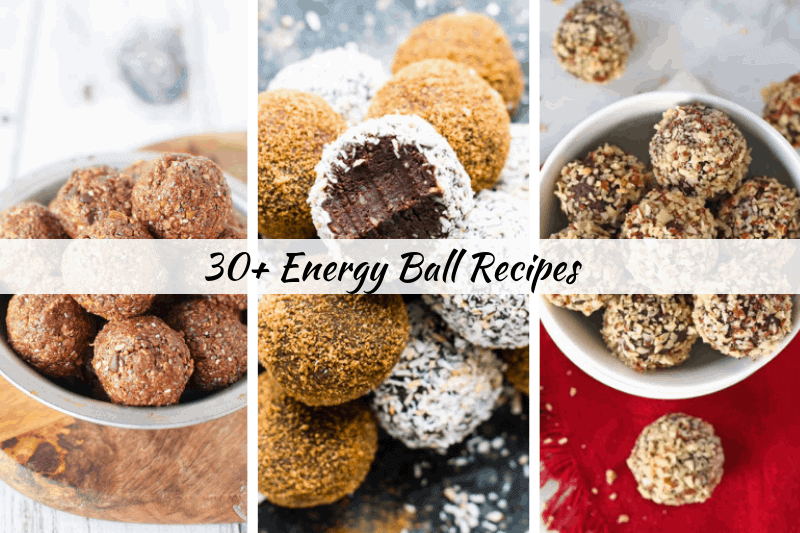 I’m here to help with 30+ of my favorite protein ball recipes from around the web, including a few of my personal creations! Energy bites are one of my favorite snacks. I tend to have a sweet tooth so anytime I can have a dessert or sweet treat, I’m excited! 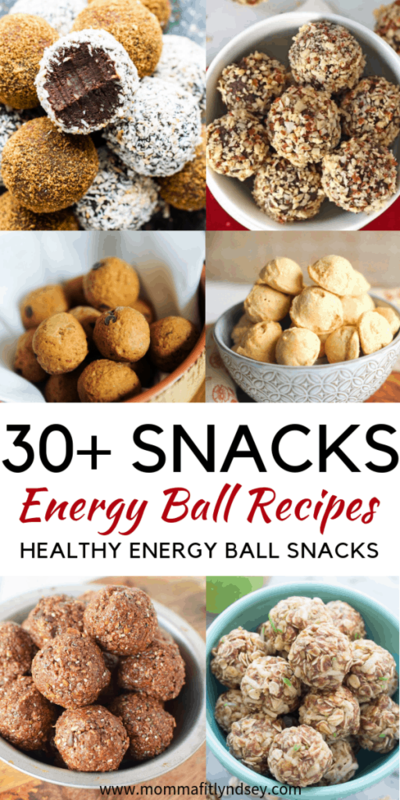 I like to make these energy balls and freeze them so I can have just one or two at a time. 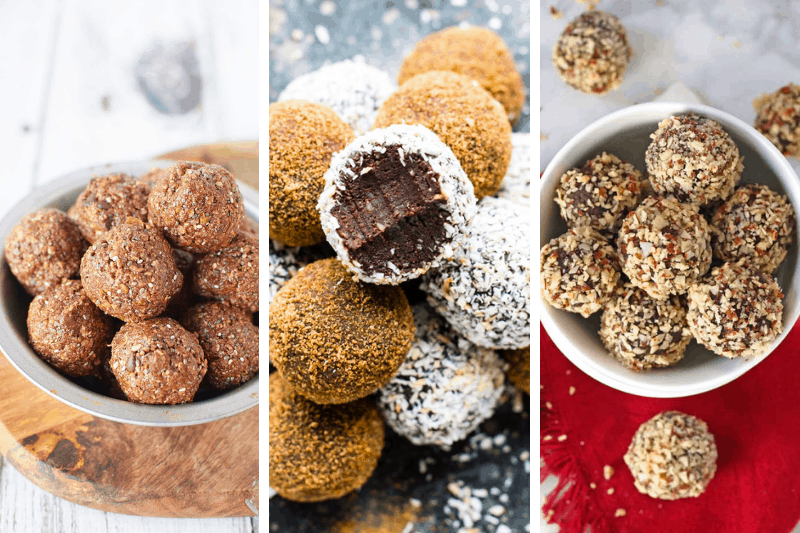 Gingerbread Protein Balls are great for the Christmas season or any time of year! 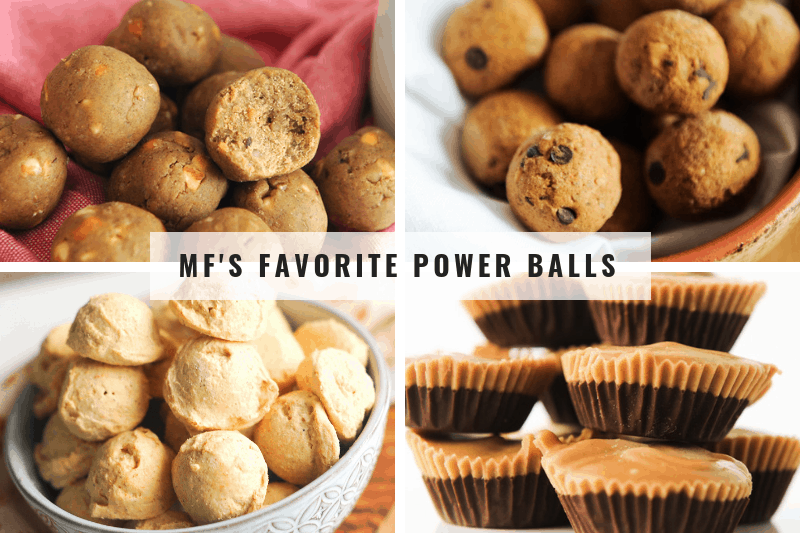 Pumpkin Spice Protein Balls and Pumpkin Spice Cheesecake Fat Bomb are two delicious pumpkin spice protein ball snacks for the fall or anytime you’re craving pumpkin! Peanut Butter Cup Fat Bombs The most popular recipe on Momma Fit Lyndsey! Best Meal Prep & Kitchen Tools for Making Protein Ball Snacks! These are a few of my go-to tools anytime I’m making protein balls or energy bites! 30+ of the Best Power Bite Snacks from around the web! Join 38,000 other followers and subscribers in getting more healthy family tips on a budget right to your inbox! Subscribe to my recipe newsletter below! Thanks for including my recipe Lyndsey! ❤️ They all look super tasty!